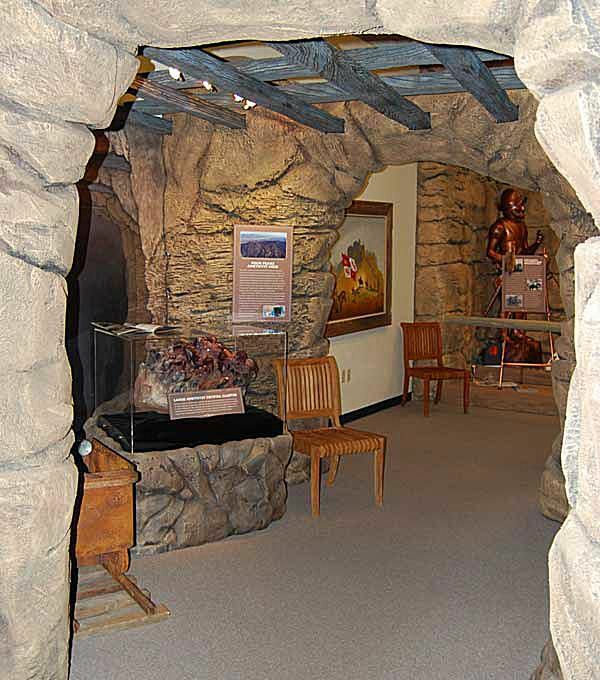 The L. Alan Cruikshank River of Time Museum offers a well-organized and attractive set of exhibits focused primarily on the geology of the Lower Verde Valley and the development of the area into present day Fountain Hills. During your visit you'll learn about the native people who inhabited the area and the prospectors who came looking for riches. You will see fantastic specimens of amethyst from nearby Four Peaks Mountain. At this museum you can also become familiar with the people who started local cattle ranches and see how Fort McDowell played a role here. Roosevelt Dam and Central Arizona Project allowed the valley to prosper by providing water, and modern-day planners created a vision for the growth of today's Fountain Hills. This museum is truly a treasure! L. Alan Cruikshank, whose name is included in the museum name, is a Fountain Hills resident who was instrumental in establishing the museum and gaining volunteer support. Summer Hours: Friday and Saturday from 1 p.m. to 4 p.m.
Winter Hours: Tuesday through Friday from 1 p.m. to 4 p.m., Saturday 10 a.m. to 4 p.m.
Factoid: The Four Peaks Mine might very well be the largest amethyst mine in North America!